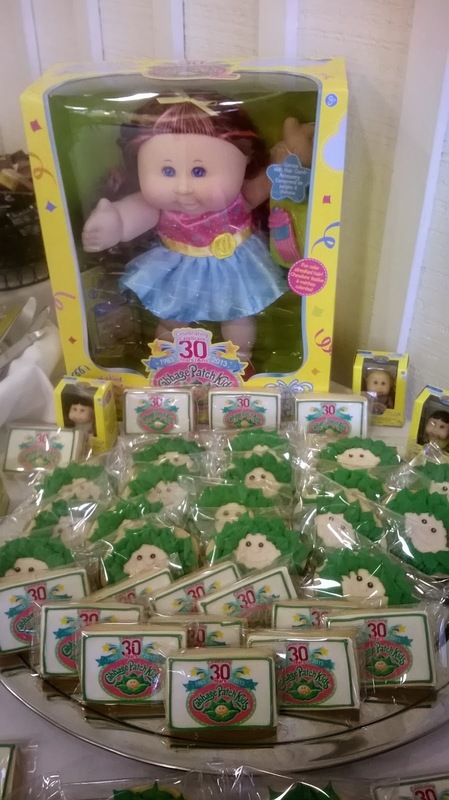 Mom's Musings: Cabbage Patch Kids and Make A Wish Turn 30 This Year!! 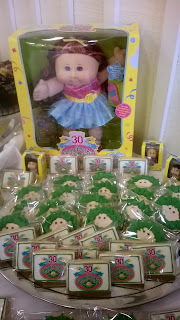 Cabbage Patch Kids and Make A Wish Turn 30 This Year!! A few weeks ago, I received an invite to attend a press release...to be honest, I don't generally read those emails, but this one was about Cabbage Patch Kids, and I couldn't resist! That flood of nostalgic memories came rushing into my mind and then I realized I was getting older! 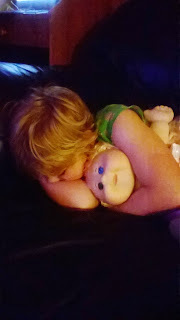 I remember my first Cabbage Patch Kid. I was 7, I was in Grade 3. My family didn't have a lot of money, we had enough, but we really didn't get all those extras. 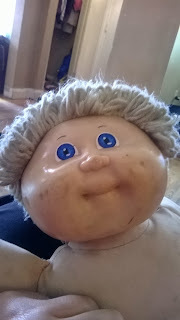 Then the Cabbage Patch Kids were launched and I remember how badly me and my sister wanted one. I knew that they were expensive, and we probably wouldn't get one, but the hope was always there. One day, I remember coming home from school and I went to my room...both me and my sister were in for a big surprise!! There, laying on our pillows, were a blonde Cabbage Patch Kid and a brunette Cabbage Patch Kid...we were ecstatic!! I asked my mom yesterday how she was able to get us one each, and she said that she remembered lining up at Toys R Us on Steeles Avenue, between Bathurst and Yonge Street, in Toronto. I had no idea back then what they had gone through to get me one, but it was all worth it in the end. So, when I read the email, I was head over heels with joy to attend this event! I chose to pull Hope and Faith out of school and bring them with me. I wanted to be able to share the nostalgia that I was experiencing with them and I am glad that I brought them with me!! Hope, my 8 year old, came armed with her iPod and became quite the photographer. There must be a million and one pictures from yesterday, these are just a few of the ones that she took. 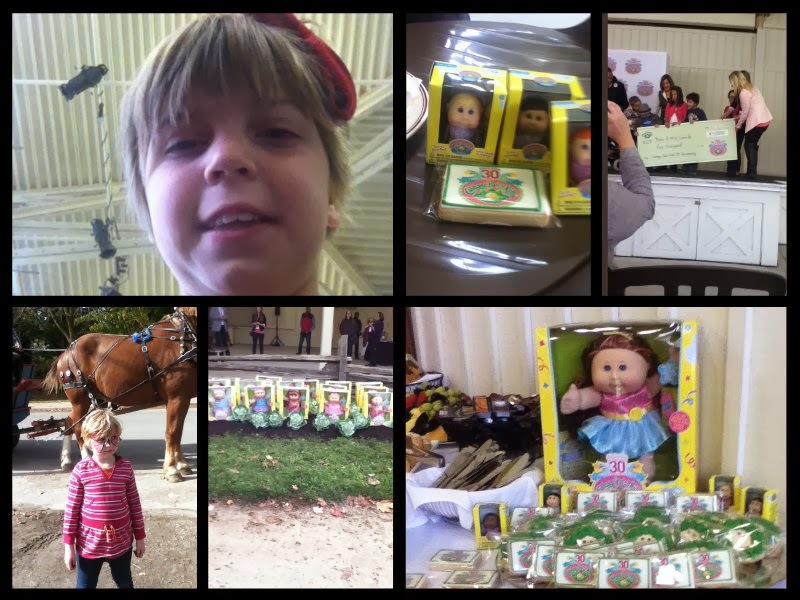 The day included a wagon ride into Black Creek Pioneer Village, face painting, balloon making, treats, cookies, dolls in the Cabbage Patch, and lots of kids! 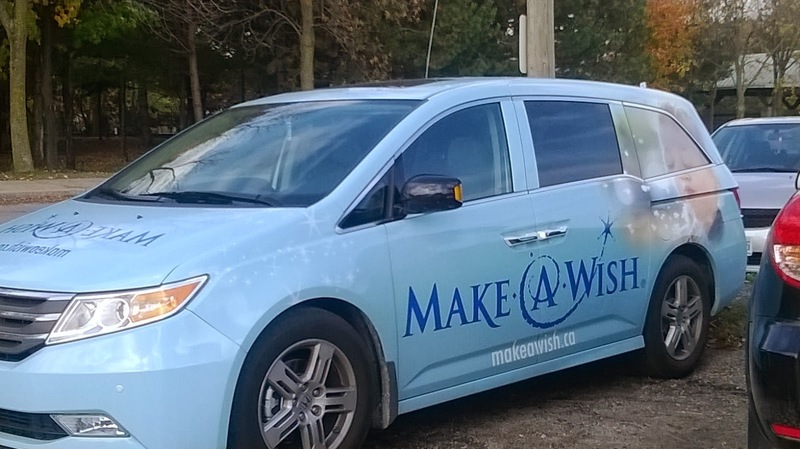 To celebrate their 30th anniversary, Cabbage Patch Kids have partnered with Make-A-Wish Canada, (did you know they are celebrating their 30th anniversary this year too?!). They are kicking off this party with a 30 day promotion through the Jakks Pacific Facebook page. Join their page, share your stories, memories and pictures with everyone. Every day, from November 1st they will be picking one winner to win a 30th edition Cabbage Patch Doll!! That is amazing! Cabbage Patch is all about suspending disbelief and creating memories for children that will last forever. 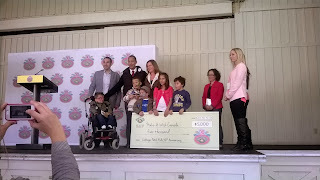 Jakks Pacific is a toy company that cares deeply about children and families and because we are celebrating the 30th anniversary of our iconic brand we wanted to partner with another organization that shares our values and cares deeply about children and allows them to forget about their worries. 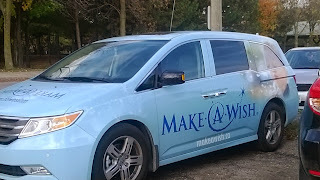 In 1983 the Make-A-Wish organization was born and is celebrating 30 years of granting wishes for children. We love and support the work they do. At this time I would like to introduce our very special guests from Make-A-Wish Canada to the stage. Chris Pon, Sr. Director of Alliances and Branding , Sheila Reese Regional Director Toronto and Central Ontario along with their honored guests please come on up and join me on stage. After the Press Conference, which was an amazing time (I smiled all the way through - it was all about the 80's!) 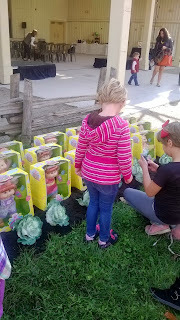 the kids got to go out to the Cabbage Patch and "pick a Kid"!! Hope and Faith were so torn with the choices, but in the end they each got a special one for themselves! Hope's is named Laila and Faiths is names Harley. I am so excited that my girls are so in love with their "adopted children" and I look forward to hearing many more "play dates" and conversations between them all!! I could go on forever with all my memories and stories, like I remember my sister cutting her Cabbage Patch Kids ponytails - she replied on Facebook with "I wanted to be a hair dresser" and all the memories that my friends have been sharing via social media and in person. 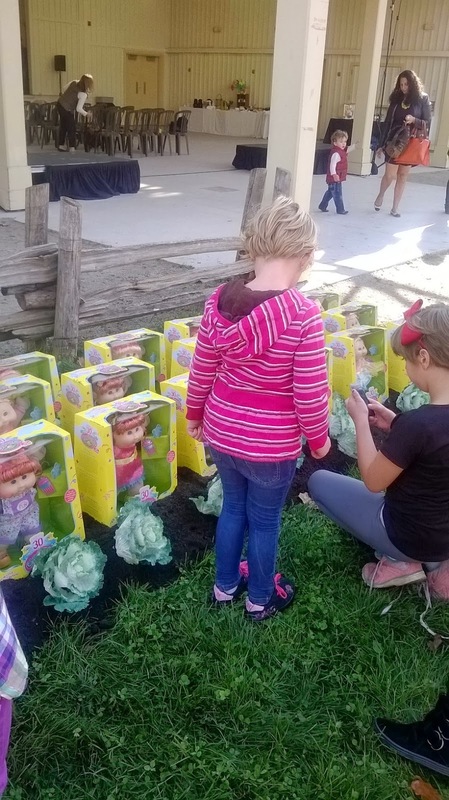 I am thrilled that I was invited to be a part of this amazing celebration and look forward to seeing how much fun my kids are going to have with their new Cabbage Patch Kids!! I remember my first Cabbage Patch Doll!!! 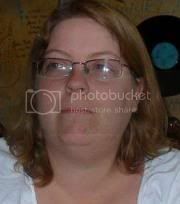 I can't believe it has been 30 years already, that's when I "adopted" her. This looks like it was a very fun day, I bet the girls had a blast!